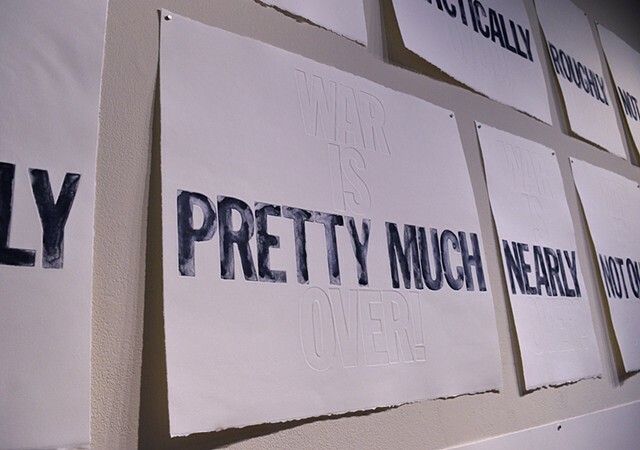 The collected work created while a Jerome resident at the Highpoint Center for Printmaking, addresses the endlessness of modern warfare. 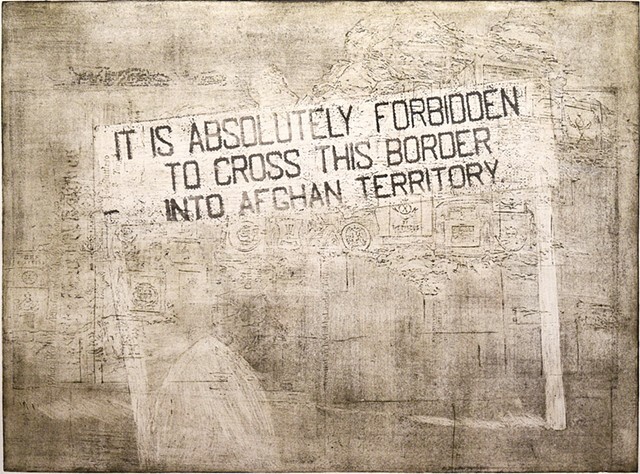 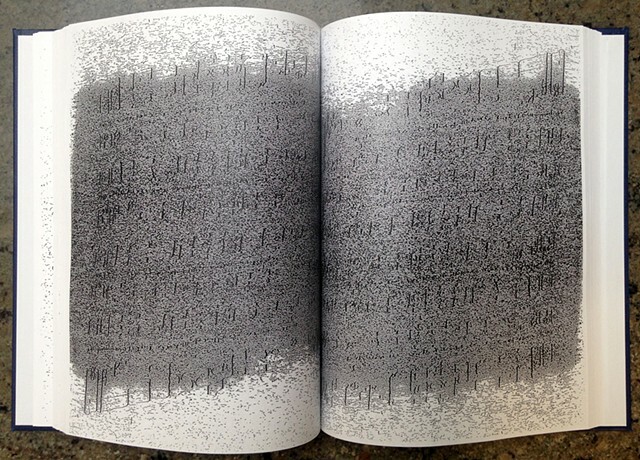 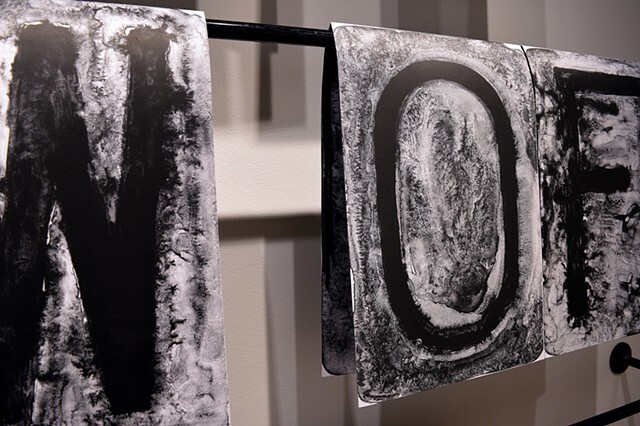 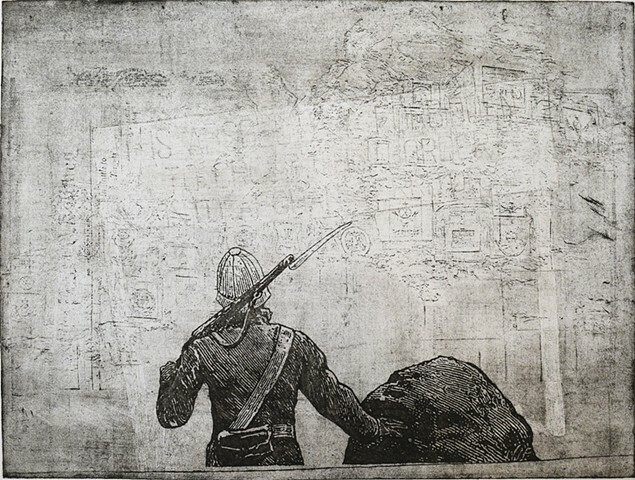 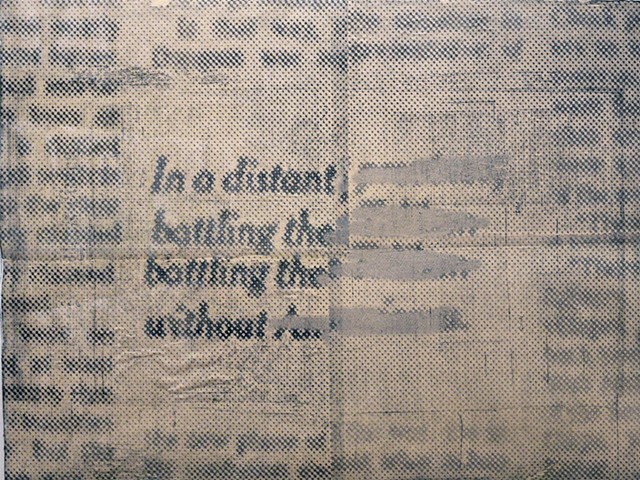 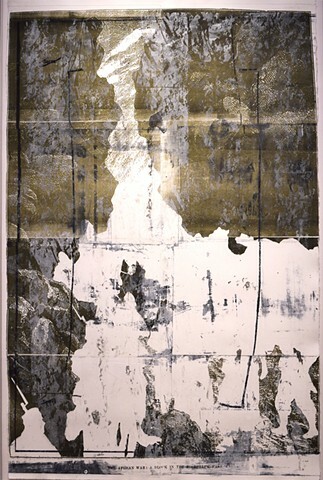 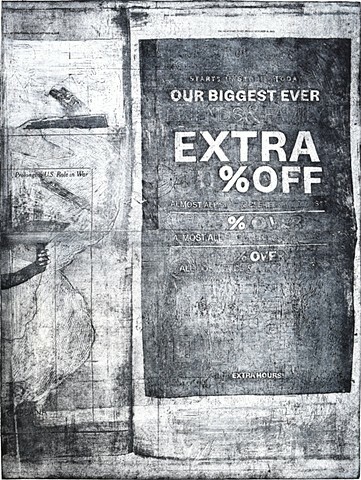 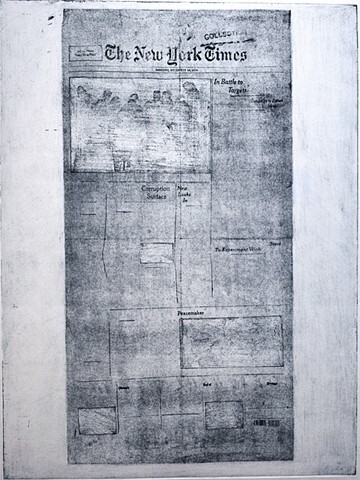 Lundquist recontextualizes current newspaper headlines about the conflict in Afghanistan while expanding traditional printmaking techniques, such as lithography and etching, along with book and video works. 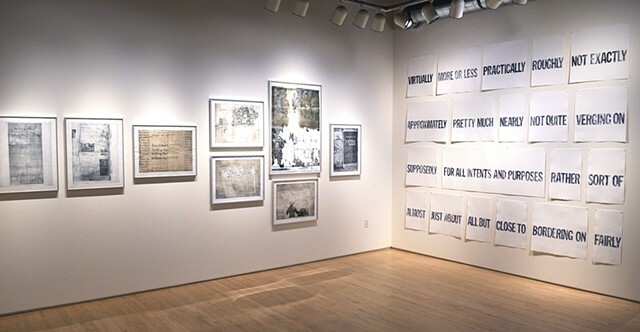 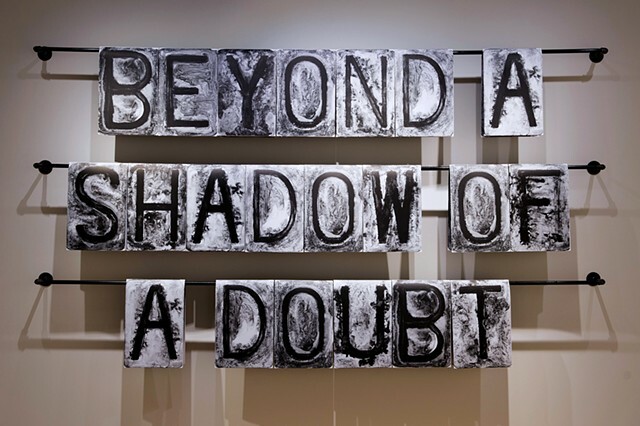 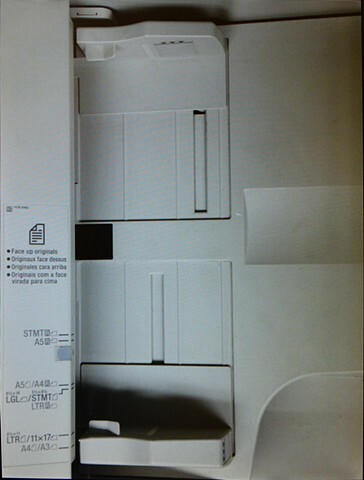 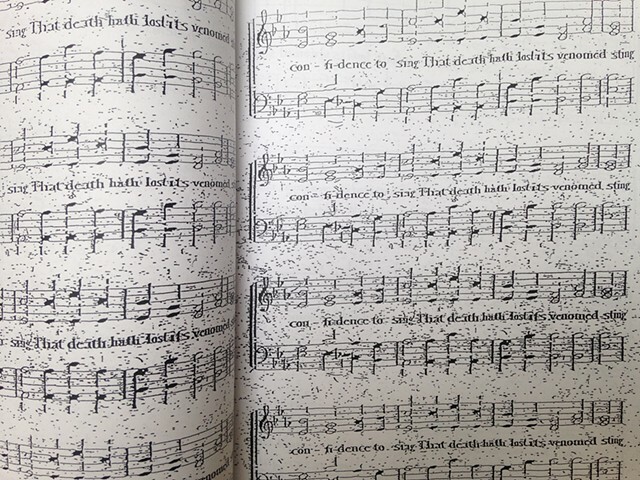 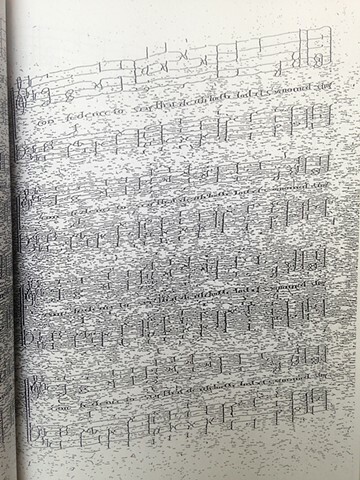 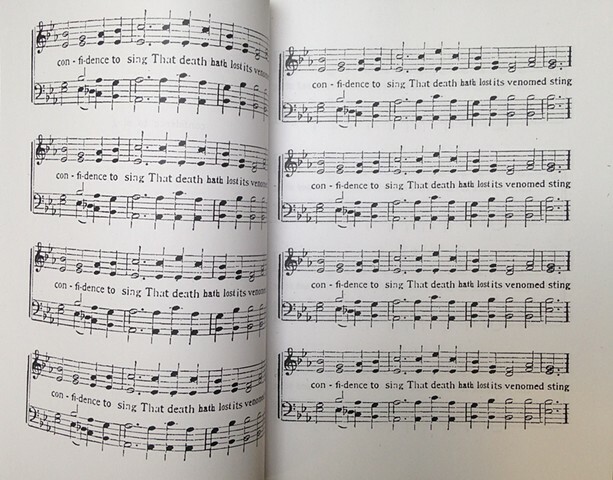 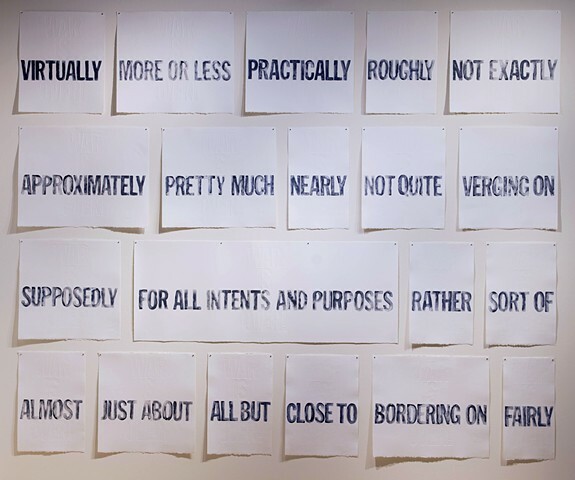 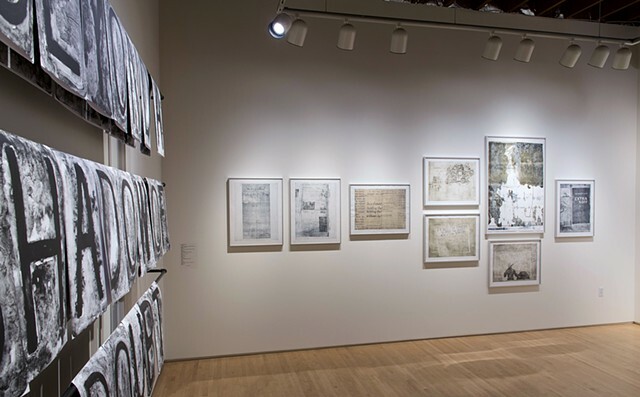 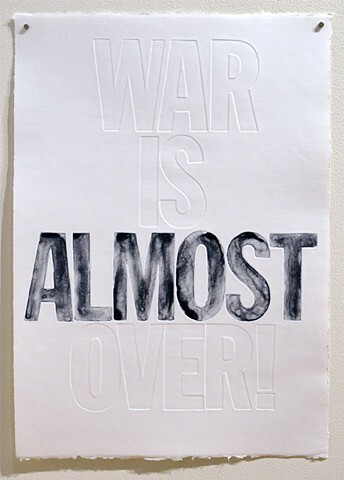 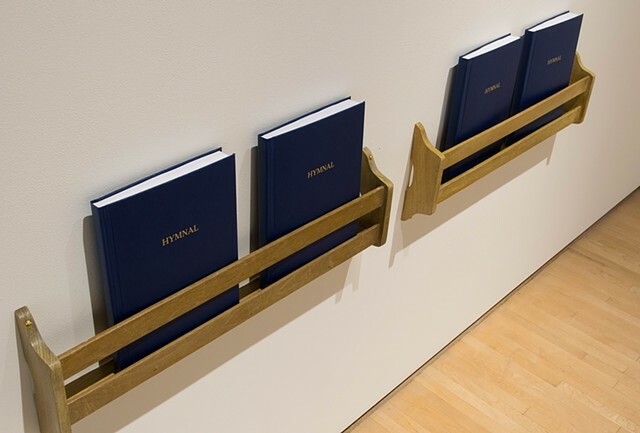 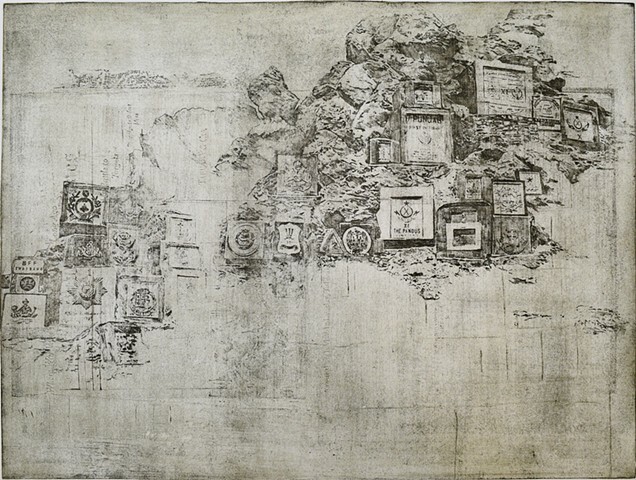 Through a process of enlarging, altering, repeating and erasing, Lundquist complicates the intended message of his source materials, calling into question the ability to bring about an end to war. 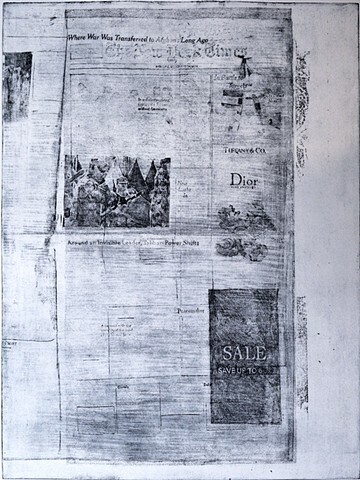 each sheet is 13" x 19"